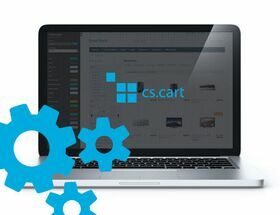 Extension to CS-Cart and Multi-Vendor protects you to set the same product code to diffrent products. Extension to CS-Cart and Multi-Vendor protects you to set the same product code to diffrent products. Every product in shop has its code, that is used during shopping or checking availability. If code typed during creating or editing product exists in shop, it won't be changed and warning will be displayed. When we try to change product code from category level and program detects, that code exists in system, it won't be changed and changes will not be saved. When we edit or add product, during saving code product is checked. If a conflict will be detected, a warning will be displayed and changes won't be saved. If Product code field is empty, system will not check it.